Caritas Cuba is an organisation of the Catholic Church which bears witness to God’s love through actions that help to discover and protect the dignity of the most vulnerable people in society. 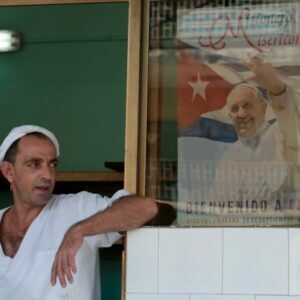 Founded by a decree from the Bishops’ Conference of Cuba in February 1991, it is currently one of the few independent non-governmental organisations in the country. The organisation operates via 11 diocesan Caritas and more than 600 parish and community Caritas, its staff in the national office, and a large number of volunteers who receive capacity building and training, in order to promote the professionalism and spirituality that are appropriate for the service of charity. It implements various programmes at national level aimed at vulnerable groups in our society, with the hope that these people, accompanied by Caritas and their families, will be able to play a vital and supportive role in their own personal and social development and fully meet their own needs. Senior Citizens Programme: for senior citizens at risk and their families. Human Development Groups Programme: for children, adolescents and young people at risk of social exclusion and their families. “Aprendiendo a Crecer” (Learning to Grow) Programme: for people with disabilities and their families. HIV/AIDS Programme: for people who have contracted the virus and groups at risk. Since 1993, Caritas Cuba has also worked in emergency situations through the Risk Management, Humanitarian Aid and Emergencies programme. General Training Programme: this covers all training needs and non-specific training needs, and assures the identity, spirituality, ethics and professionalism of volunteers and other network actors that represent Caritas Cuba. Caritas Cuba works in coordination with other public actors that have common interests. Its main collaborators within the confederation are Caritas Switzerland, Catholic Relief Services (CRS), Caritas Spain, Caritas Germany, Kindermissionswerk (PMK) and Misereor. It also gains access to international collaboration via the meetings of the European Commission for non-state actors in Cuba. 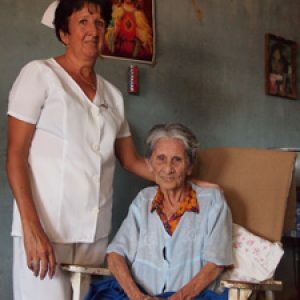 “The elderly are among those most affected by poverty,” said Migdalia Dopico, coordinator of the Elderly Support Programme for Caritas Cuba. With one in five Cubans now over 60, the problem is getting worse. Caritas Cuba’s 800 volunteers and 190 canteens are responding by providing thousands of meals to 28000 elderly people. In Cienfuegos, Cuba, a group of young people with Down Syndrome are putting on a show for their parents and friends. The young people delight in singing and dancing.